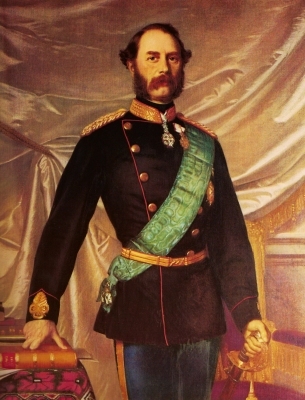 Christian IX zu Schleswig-Holstein-Sonderburg-Glücksburg, King of Denmark was born on 8 April 1818 at GottorpG.3 He was the son of Frederik Wilhelm Paul Leopold Herzog zu Schleswig-Holstein-Sonderburg-Glücksburg and Luise Karoline Prinzessin von Hessen-Kassel.4 He married Luise Wilhelmine Friederike Karoline Auguste Julie Prinzessin von Hessen-Kassel, daughter of Wilhelm X Landgraf von Hessen-Kassel zu Rumpenheim and Louise Charlotte Oldenburg, Princess of Denmark, on 26 May 1842 at Amalienborg Palace, Copenhagen, DenmarkG.5,3 He died on 29 January 1906 at age 87 at Amalienborg Palace, Copenhagen, DenmarkG.3 He was buried at Roskilde, Copenhagen, DenmarkG. [S213] "Unknown short article title", volume 8.1, page 22. [S12] C. Arnold McNaughton, The Book of Kings: A Royal Genealogy, in 3 volumes (London, U.K.: Garnstone Press, 1973), volume 1, page 179. Hereinafter cited as The Book of Kings. [S12] C. Arnold McNaughton, The Book of Kings, volume 1, page 123. 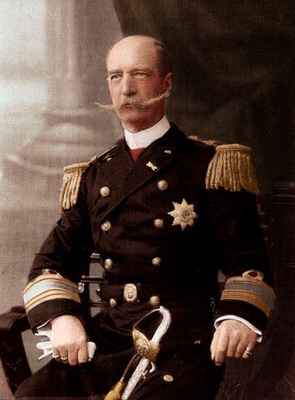 William George I zu Schleswig-Holstein-Sonderburg-Glücksburg, King of the Hellenes was born on 24 December 1845 at Copenhagen, DenmarkG. He was the son of Christian IX zu Schleswig-Holstein-Sonderburg-Glücksburg, King of Denmark and Luise Wilhelmine Friederike Karoline Auguste Julie Prinzessin von Hessen-Kassel. He married Olga Konstantinovna Romanova, Grand Duchess of Russia, daughter of Konstantin Nikolaievich Romanov, Grand Duke of Russia and Alexandra Friederike Henriette Prinzessin von Sachsen-Altenburg, on 27 October 1867 at Winter Palace, St. Petersburg, RussiaG.3 He died on 18 March 1913 at age 67 at Salonika, GreeceG, assassinated.3 He was buried at Tatoi, GreeceG. [S3] Marlene A. Eilers, Queen Victoria's Descendants (Baltimore, Maryland: Genealogical Publishing Co., 1987), page 163. Hereinafter cited as Queen Victoria's Descendants. [S12] C. Arnold McNaughton, The Book of Kings: A Royal Genealogy, in 3 volumes (London, U.K.: Garnstone Press, 1973), volume 1, page 192. Hereinafter cited as The Book of Kings. Olga Konstantinovna Romanova, Grand Duchess of Russia was born on 3 September 1851 at Pavlovsk, RussiaG. She was the daughter of Konstantin Nikolaievich Romanov, Grand Duke of Russia and Alexandra Friederike Henriette Prinzessin von Sachsen-Altenburg. 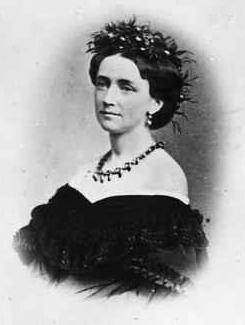 She married William George I zu Schleswig-Holstein-Sonderburg-Glücksburg, King of the Hellenes, son of Christian IX zu Schleswig-Holstein-Sonderburg-Glücksburg, King of Denmark and Luise Wilhelmine Friederike Karoline Auguste Julie Prinzessin von Hessen-Kassel, on 27 October 1867 at Winter Palace, St. Petersburg, RussiaG.2 She died on 18 June 1926 at age 74 at Pau, BearnG. She was buried in November 1936 at Tatoi, GreeceG. [S12] C. Arnold McNaughton, The Book of Kings: A Royal Genealogy, in 3 volumes (London, U.K.: Garnstone Press, 1973), volume 1, page 197. Hereinafter cited as The Book of Kings. 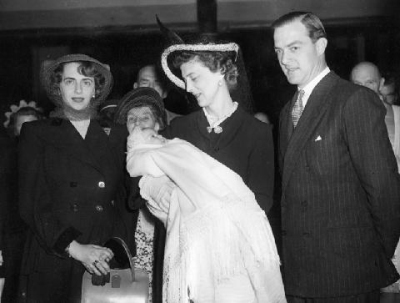 She gained the title of Princess Katherine of Greece and Denmark.2 After her marriage, Katherine zu Schleswig-Holstein-Sonderburg-Glücksburg, Princess of Greece and Denmark was styled as Baroness Katherine Brandram on 21 April 1947. 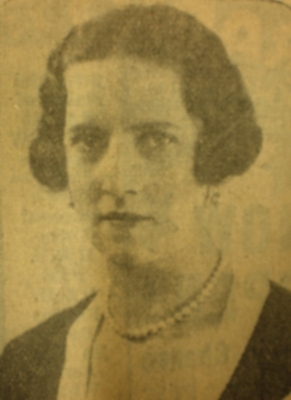 From 21 April 1947, her married name became Brandram. She abdicated as Princess of Greece and Denmark on 25 August 1947. [S3] Marlene A. Eilers, Queen Victoria's Descendants (Baltimore, Maryland: Genealogical Publishing Co., 1987), page 165. Hereinafter cited as Queen Victoria's Descendants. [S3] Marlene A. Eilers, Queen Victoria's Descendants (Baltimore, Maryland: Genealogical Publishing Co., 1987), page 164. Hereinafter cited as Queen Victoria's Descendants. [S3] Marlene A. Eilers, Queen Victoria's Descendants, page 165. [S12] C. Arnold McNaughton, The Book of Kings: A Royal Genealogy, in 3 volumes (London, U.K.: Garnstone Press, 1973), volume 1, page 194. Hereinafter cited as The Book of Kings. 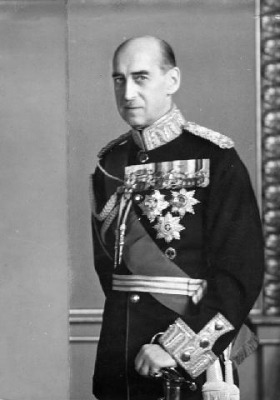 Pavlos I zu Schleswig-Holstein-Sonderburg-Glücksburg, King of the Hellenes was born on 14 December 1901 at Athens, GreeceG.3 He was the son of Konstantinos I zu Schleswig-Holstein-Sonderburg-Glücksburg, King of the Hellenes and Sophie Dorothea Ulrike Alice Prinzessin von Preußen. 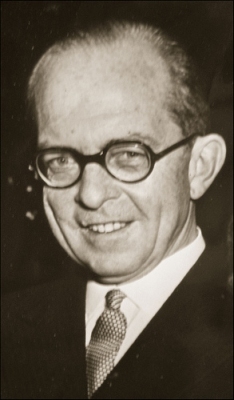 He married Friederike Prinzessin von Hannover, daughter of Ernst August III Christian Georg Prinz von Hannover and Viktoria-Luise Adelheid Mathilde Charlotte Prinzessin von Preußen, on 9 January 1938 at Athens, GreeceG.4 He died on 6 March 1964 at age 62 at Tatoi, GreeceG.4 He was buried at Tatoi, GreeceG. [S12] C. Arnold McNaughton, The Book of Kings: A Royal Genealogy, in 3 volumes (London, U.K.: Garnstone Press, 1973), volume 1, page 193. Hereinafter cited as The Book of Kings. [S3] Marlene A. Eilers, Queen Victoria's Descendants, page 160. [S12] C. Arnold McNaughton, The Book of Kings, volume 1, page 195. [S3] Marlene A. Eilers, Queen Victoria's Descendants, page 163. [S3] Marlene A. Eilers, Queen Victoria's Descendants, page 202.